Offbeat things always appealed to me. I guess that's why REVA made such an impact on my mind when I first heard of it years back. I wanted to own things that would help set me apart from the rest. However, my favorable disposition towards the car changed when I saw it for the first time on the roads of Bangalore. Then again...and again...and again! It looked atrocious! 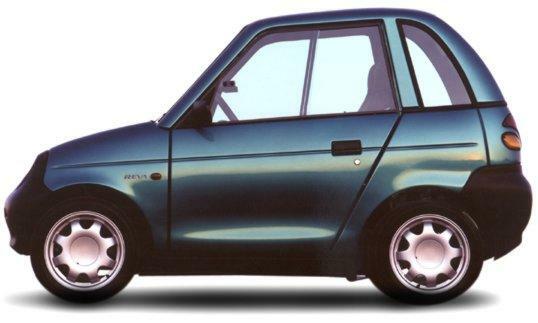 Though the REVA is supposed to be more pragmatic than aesthetic, even this would warrant such a horrid look! It didn't take me long to relinquish my desire for the car. Offbeat be damned! Brainwaves should never be institutionalized. Adhering to a school of thought stunts our ability to think with clarity. 'Perfect iconoclast' is thus an oxymoron. Hey guys, check out this site: - Eric . It is silly but damn funny. And all you Friends fans, check this one :- Friends .